A degree in the History program encourages students to explore the human condition by providing a foundation in the historical roots of cultures. A degree in the Philosophy program acquaints students with important developments in the history of ideas, both philosophical and religious, so as to gain a deeper understanding of the fundamental questions that affect the human condition. 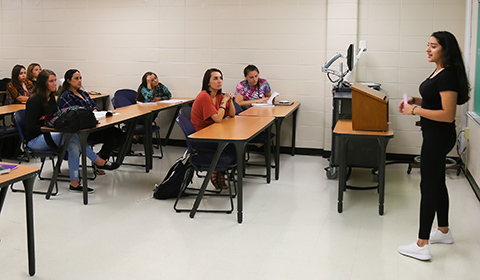 A degree in the Political Science program focuses on the study of governments, public policies, and political behavior using humanistic and scientific perspectives.